Financial support from the big high street banks has been almost non-existent since the start of the recession in 2008. However, Lawrence Kenwright, the man behind the Signature Living hotels, has beaten the economic downturn after funding his own model. Lawrence has launched various hotel and apartment schemes, with properties in Mathew Street, Stanley Street and Victoria Street. 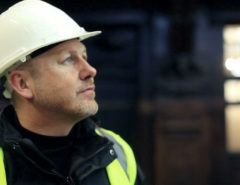 He has also recently launched the new Titanic hotel, 30 James Street, that’s set to open very soon. 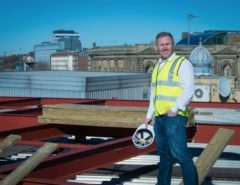 Property Developer Lawrence Kenwright is, by his own admission, a very busy man, as he is also scheduled to start work on a new Bill Shankly-themed hotel in August. How does he do it? He simply devised a plan to split the property up into small sections and market each section to individual investors. 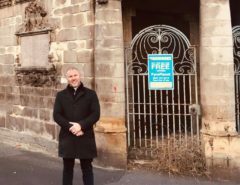 A self-confessed hands-on developer, Lawrence’s vision is to bring as many derelict and forgotten city centre buildings back into use, instead of leaving them to rot.